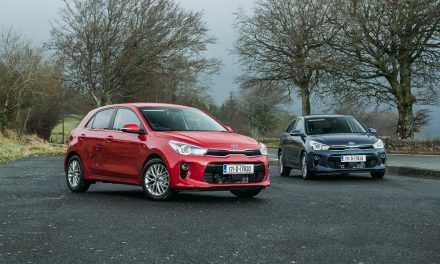 Kia’s all-new 5-door coupe, the aptly named ‘Stinger’, is set to unleash some pain on its established rivals in its class. Never before has the Korean manufacturer posed such a threat to premium brands such as Audi, BMW and Mercedes-Benz. 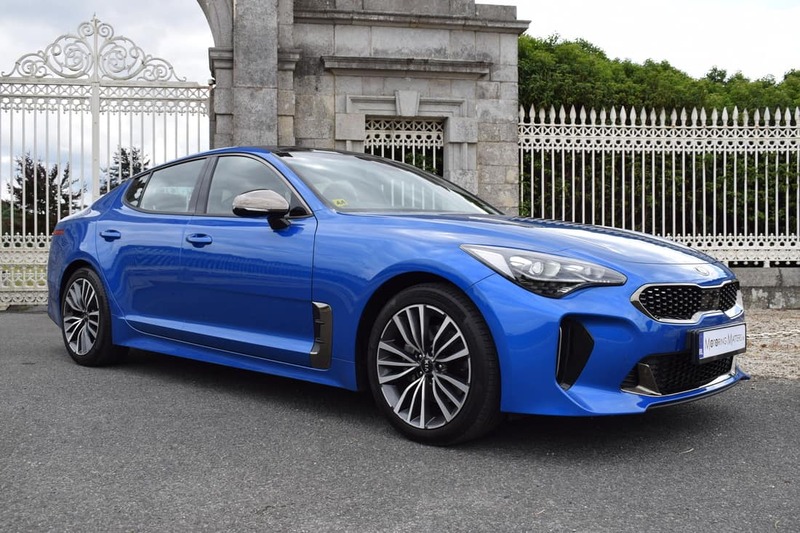 Direct rivals to the new Kia Stinger include the BMW 4-Series Gran Coupe and Audi’s A5 Sportback. 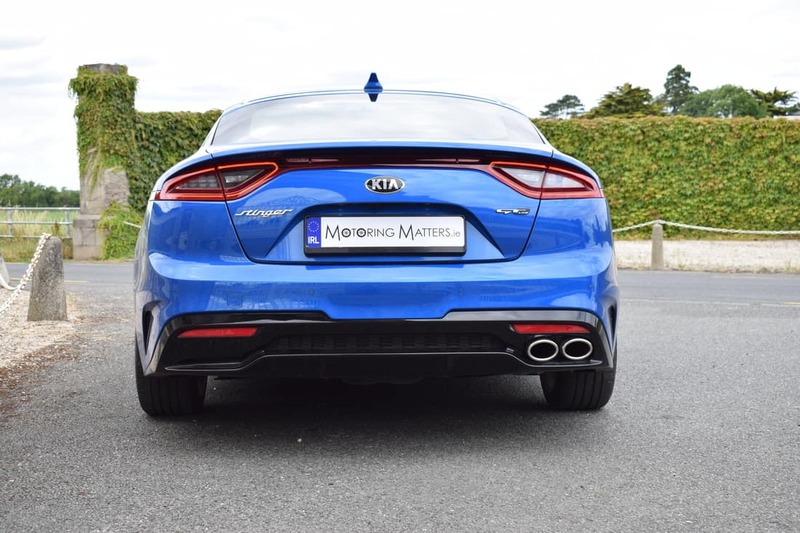 The Stinger is a thoroughly convincing package that offers excellent driving dynamics, a sumptuous interior, useful practicality and stunning good looks. This truly is a head-turning car and is certain to bring a whole new band of customers to the brand. The new Stinger is available in two trim levels – GT-Line and GT, with the latter being available only in 3.3-litre V6 petrol-engine guise. 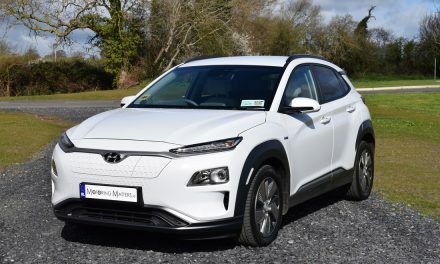 The GT-Line model is available with a 2.2-litre turbo diesel (CRDi) engine and both trim levels are fitted with an eight-speed automatic gearbox as standard. 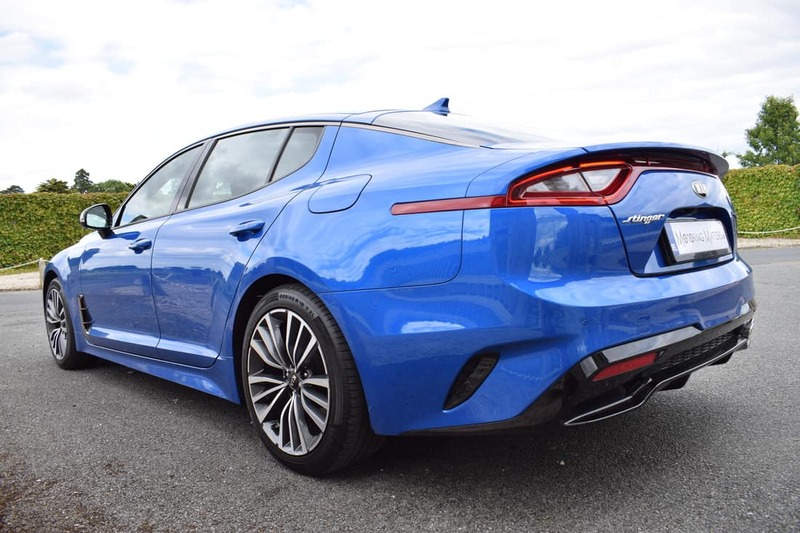 Both models come with a standard rear-wheel-drive set-up for the ultimate in driving thrills and provides the Stinger with sure-footed handling and agility. 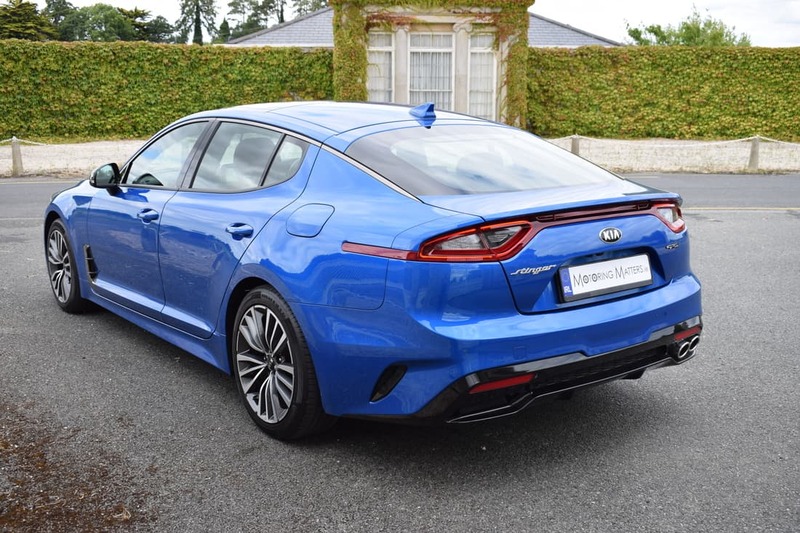 My test car was a Kia Stinger 2.2-litre Turbo Diesel GT-Line Automatic, finished in striking ‘Micro Blue’ metallic paint. 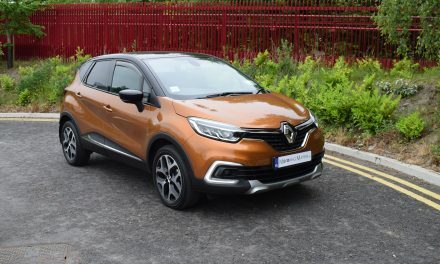 With 197bhp and 441Nm of torque available, the 0-100km/h sprint can be completed in just 7.3-seconds, leading to a top speed of 230km/h (where permitted). Official fuel consumption is as low as 5.8l/100km on a combined driving cycle. GT-Line specification is truly astonishing and includes artificial leather seat covering, seven airbags, ABS, EBD, hill start assist, electronic parking brake with auto-hold, ISOFIX child seat anchorage points x 2, smart key with button start, cruise control with speed limiter, auto cruise with smart cruise function, drive mode control, lever-type paddle shifters located on a leather-bound and flat-bottom multi-function steering wheel, blind spot collision warning, lane keep assist, tyre pressure monitoring system, speed limit information display, around view monitoring system, auto lights & wipers, wireless phone charging point, electric seat adjustment (front passenger and driver) with driver’s seat memory function, heated seats front & rear, ventilated front seats, heated steering wheel, split-folding rear seats, LED headlights and daytime-running-lights, Harmon Kardon sound system, 8” infotainment touch-screen with satellite navigation, Apple CarPlay and Android Auto functionality, supervision cluster with a 7” rheostat, powered tailgate, alloy wheels and many more comfort, convenience and safety features. Thanks to an emission figure of 154g/km, annual road tax is just €390. 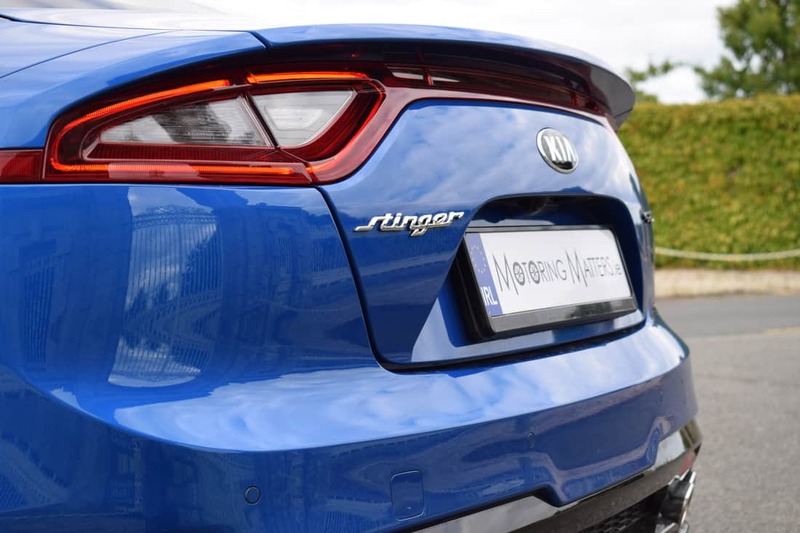 On the road, the new Stinger drives with the poise and elegance of its German rivals, with perfect weighting being allocated to all the controls and to the body movements. Acceleration is smooth and progressive thanks to a slick-shifting 8-speed automatic gearbox. The Stinger feels impressively consistent and composed on twisty roads and tackles motorway journeys with ease. 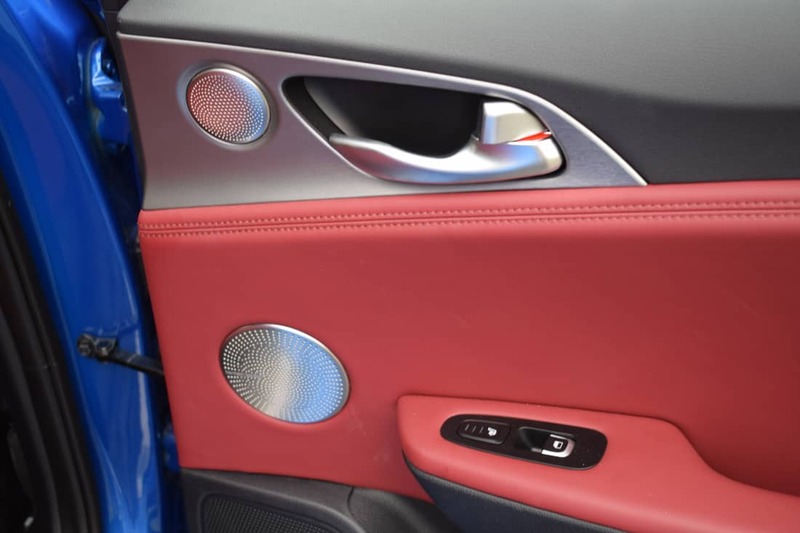 All occupants of the new Stinger will benefit from excellent seat comfort and will appreciate the excellent shoulder and elbow room available. 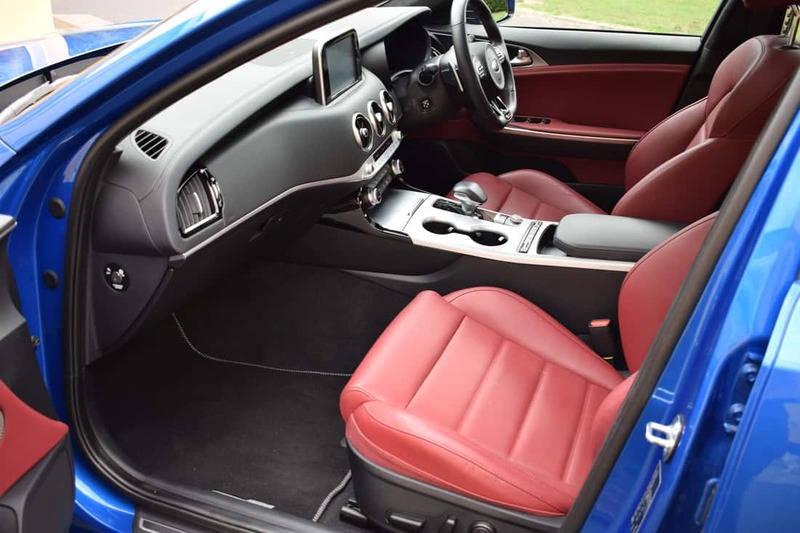 Climb aboard the Stinger in GT Line trim and you will definitely fell like you’re in a luxury car. The cabin is dominated by quality materials, which are both soft and tactile, with real metal touches and a very solid build quality. 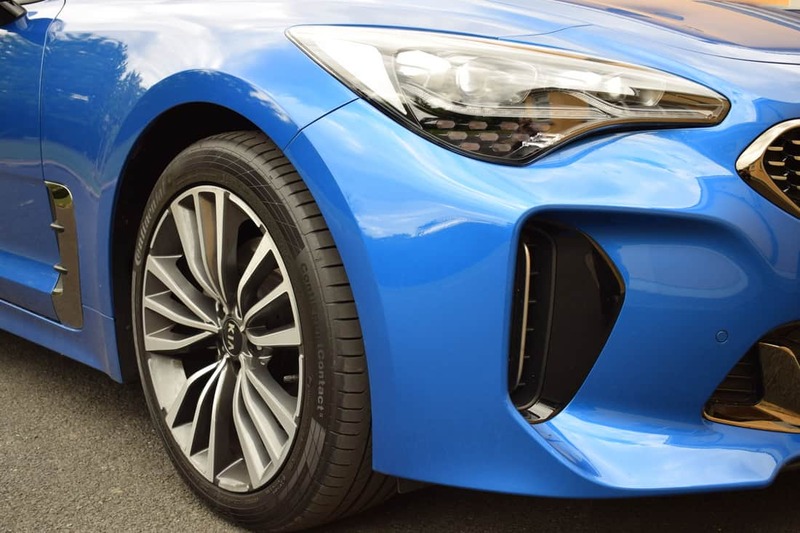 The Stinger’s non-active suspension proved itself to be terrific on the move and offers a perfect blend of comfort and engaging driving fun – resulting in a car that is rewarding to drive fast but won’t rattle your spine out of alignment on bumpy roads. 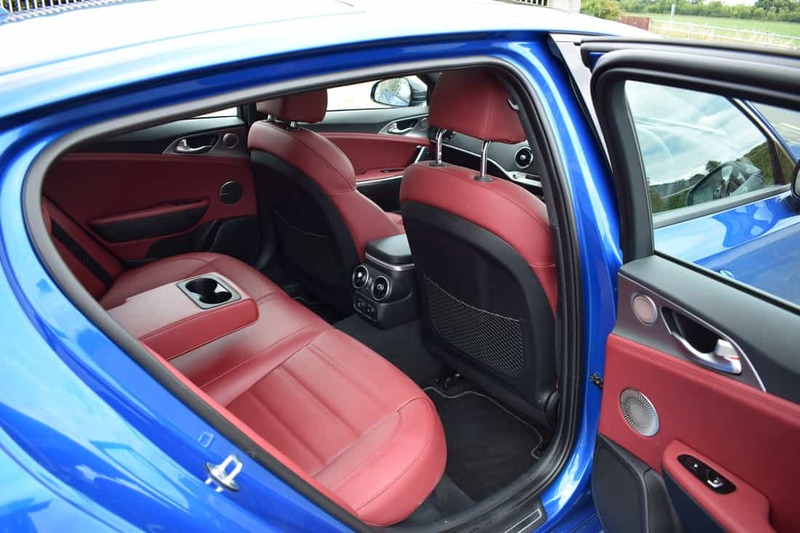 The new Stinger is a surprising large vehicle (an impressive 4,830mm in length) and this, in turn, leads to excellent cabin and boot space. 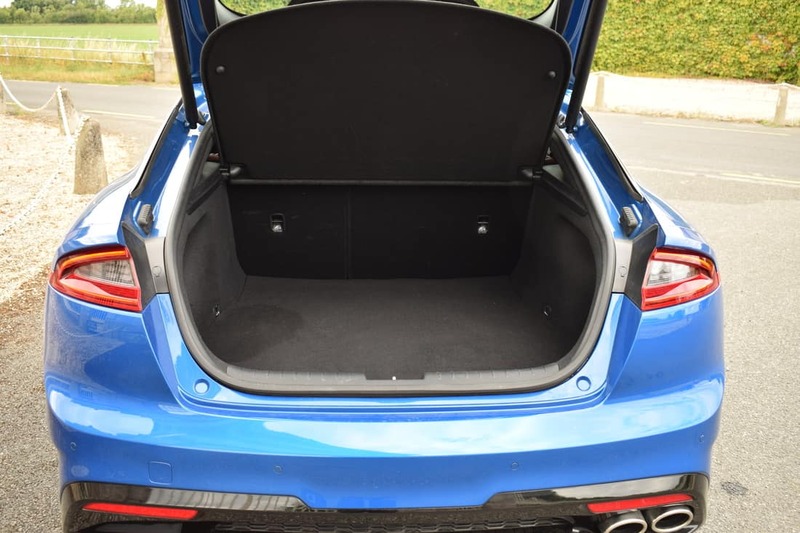 With the rear seats in place, a cargo area of 406-litres is available, with masses of extra space just waiting to be called upon with the rear seats folded. 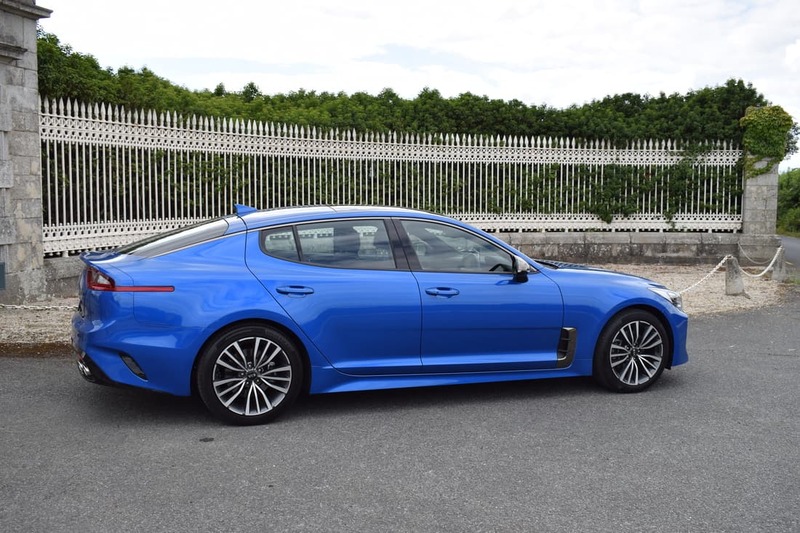 The new Stinger was awarded the maximum 5-star rating by Euro NCAP (New Car Assessment Programme), thereby indicating that the car has excellent crash protection and practical safety features to compliment it stylish good looks. 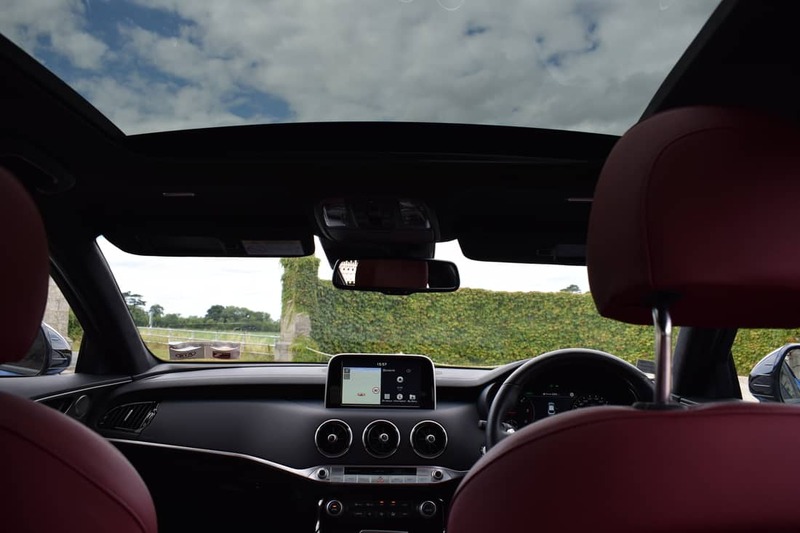 The Stinger’s sweeping roofline, broad shouldered stance and striking design features transform the car into one of the most distinctive cars on the road today. Kia’s design chief, Peter Schreyer, has a wealth of car design experience behind him and is the man responsible for the stunning designs we have seen from Kia over the last number of years. With the new Stinger, Schreyer regarded the car as his own personal project in many ways – having initially displayed a sketch of the car that would become the Kia GT concept at the 2011 Frankfurt Motor Show and insisting that he was going the get the car from concept to production before the end of the decade. 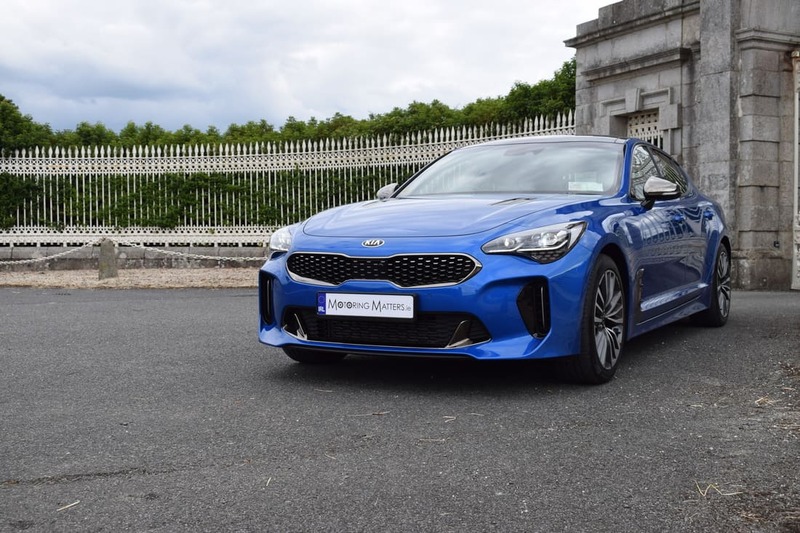 Overall, the new Stinger is a truly competent car and is a sign of great things to come from Kia. 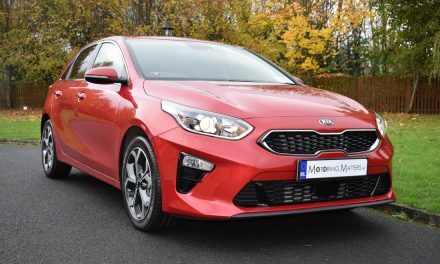 With the Stinger, Kia has produced a car that will appeal to the heart as well as the head and is one of the most refreshing cars that I have driven recently. When the open road beckons, the Stinger helps you focus on enjoying the drive thanks to sophisticated, convenient technology. 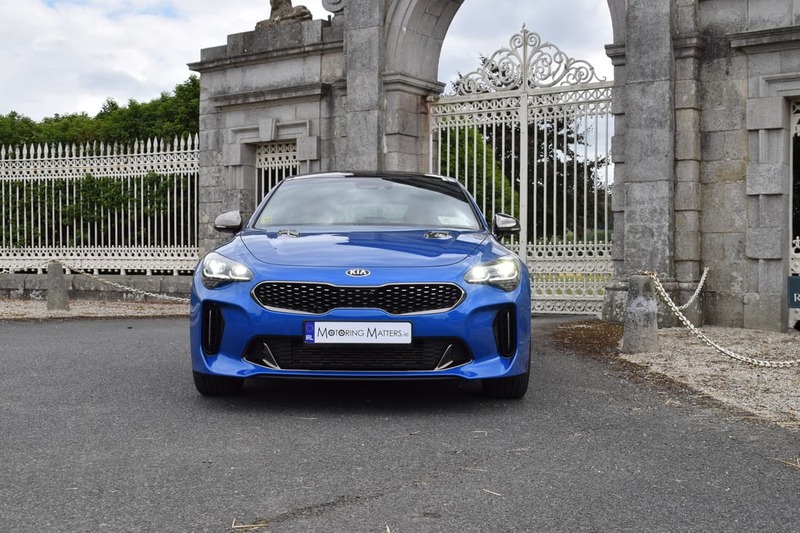 The new Kia Stinger GT-Line is priced at €52,995 (ex-works), while the GT V6 is priced at €66,895 (ex-works). 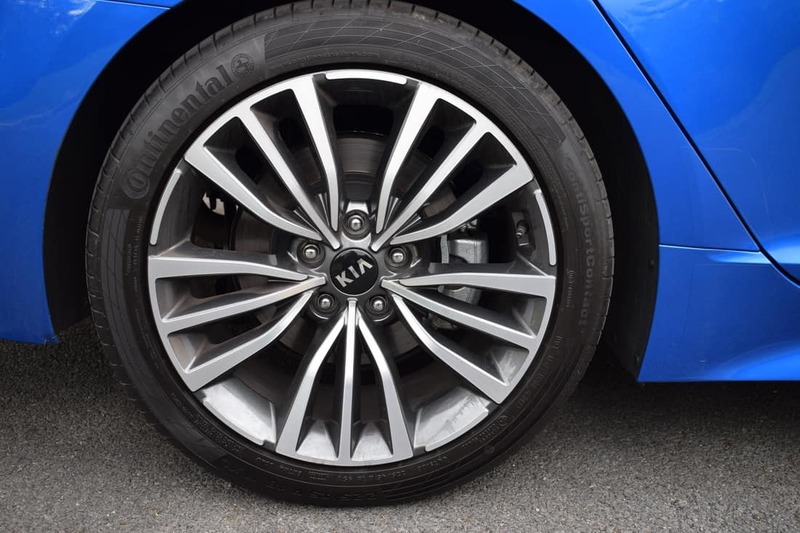 Kia’s 7-year (150,000km) warranty comes as standard, as does a 5-year paint defect and a 12-year anti-corrosion warranty for outstanding peace-of-mind motoring.